Preparing for a Thru-Hike: Plan, or Plan to Adapt? The biggest difference between our preparation for the Appalachian Trail vs. the Pacific Crest Trail is the amount of planning. Before the A.T. I had planned out our daily mileage & each of our town visits. Within the first 3 days, our plan went down the drain. Unexpected blisters put us back a day, hitchhiking took longer than I thought, & that first hostel roped me in. We learned that we had to adapt & let go of our plan. Going into our PCT hike, we are planning less and opening our minds more. Your first day on the trail you may meet an amazing group of friends. So you plan to stick together, planning your mileage & where you’ll camp for the night. You might even take your breaks together during the day. But oftentimes those friends you meet on the first day won’t have the same hiking style as you, long-term. If you start compromising your bodies limits it can lead to injury. So be prepared to let social relationships on the trail ebb & flow. Continuing your hike with an open mind will allow you to bond with many different people along the way. Your mileage plan is going to change a lot while you’re hiking. A lot of things affect how many miles you do in a day; trail magic, town visits, weather, & injuries are just some. There will be days you aren’t going to hike as many miles as you had planned but remember: That’s a okay. Appreciate the unexpected experiences along the way. In the end that’s what you’ll remember, not how many miles you hiked per day. 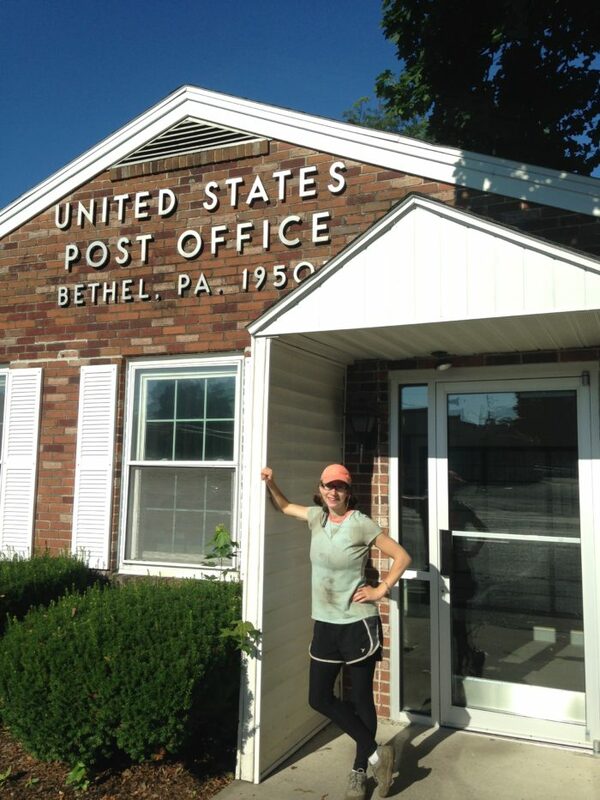 Tip: Some of the most stressful times on the trail were racing to the post offices before they closed. For three days in Pennsylvania Jake & I were in a rush to get a package before they closed. We were cranky & had to miss out on friends celebrating the 4th of July all because we had to hike big miles each of those days. 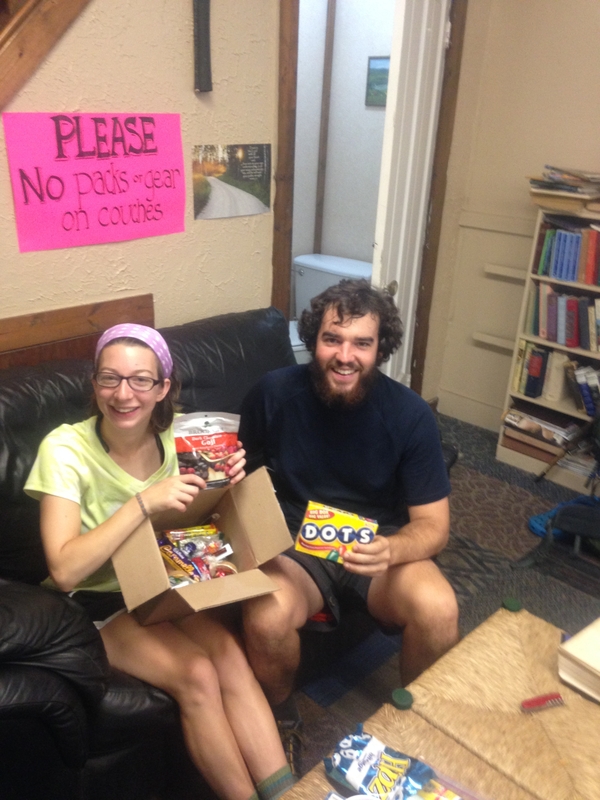 A better alternative we learned was to send our packages to hostels because of their flexible hours. Depending on how much money you have to spend during your hike will largely influence your town experiences. If you realize you are spending more in town than you budgeted for, be ready to make some changes. Unless you have superhuman self-control, minimize your town visits because that Chinese buffet is going to be calling your name. Consider making your town visits a few hours vs a whole day. Also remember that if you need a day off, it doesn’t mean you have to go into town. Jake & I spent plenty of days hiking a few miles and then lounging in our tent for the rest of the day. We rarely stayed in towns or took full zero days and it helped us save a lot of money along the way. When backpacking for an extended amount of time, your body is going to adapt. But, it may need different nutrients over time. You may get cravings for foods you usually don’t enjoy. My cravings included; Oreo cookies dipped in frosting, vinegar, mayonnaise, and bananas. Before the trail I had not planned for any of those foods. I had planned on eating trail mix, granola, dried fruits, and pop tarts. Sadly enough, I didn’t enjoy any of those options. If you have a support system at home I recommend giving them money and package materials. You can send them updated lists of foods you want along the way. This avoids having 10 boxes of food sent to you that you can no longer stand to look at. If you do plan on shopping in towns, remember that prices will fluctuate. Small stores may have higher prices and limited selections so plan to adapt to what is available. My name is April and I’m going to be hiking the PCT in 2018 with my best friend and lover, Jake. Since thru-hiking the Appalachian Trail in 2014 we haven’t been able to settle down. We got a taste of the adventure, freedom, and simplicity and we want that back. The past 4 years we have continued traveling in the USA, testing out different states. Currently we are rocking it in Tucson, AZ testing out our desert tolerance before the PCT. My personal website is: www.breakingopenthenutshell.com if youd like to follow all our adventures. I’m Hiking the AT for 2018 and I’m so excited. I had a question or two if you both don’t mind me asking. First question is it easy to purchase the permits while your on the trail? It was very easy to get your permits while on the AT. The trail goes right through the NOC (Nantahala Outdoor Center) where they have a big building with computers you can use to print out your permits. That’s what the majority of people we met along the way had done as well. The AT also has fairly easy access to towns, so it’s never too much of a worry if you need something.